Although our website is called Life After London there was never anything intended to exclude others moving from different areas, the key is we are here to help with any move and I'm delighted to share Octavia's story of their move. It's especially interesting because she left an area many aspire to move to, and moved into a new build, highlighting some of the issues that you might want to consider. Forewarned is forearmed after all. We moved to West Sussex in January 2016. We’d been looking for a while and were concentrating our search on 3 very different areas, all with one thing in common: good schools! We moved from Bucks / Berks borders, in Bourne End, near Marlow, where prices are astronomical and outstripped our finances, and schools are 1) excellent if your child gets into the grammar system, or 2) mediocre at best. As we weren’t keen to “hot-house” our children with tutoring, and would rather rely on their natural abilities to enable them to achieve their best, whilst maintaining a healthy balance of school and leisure time, we decided to move away from this system. Another criteria was that we wanted to be within 1 hour of London, oh and we should know someone who lives or has ties to the area we chose. 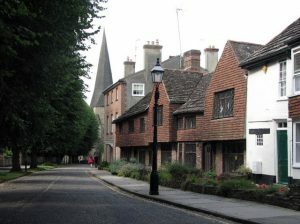 Our short list was: Winchester, Cambridge, and Horsham and we viewed houses in all these locations. 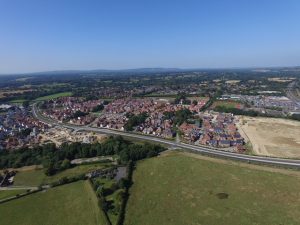 We were beaten (in sealed bids) to a house in both Winchester and Cambridge, so we elected for a new build in Broadbridge Heath, just outside Horsham. A new build had the advantage of the NBHC warranty but I have to say that I would probably not buy new again - certainly not from the developer who built our home. They were good at getting emergencies dealt with, but with lesser snags, we had to fight every step of the way to get them fixed. Also, 4 years after the development was started and 2 years after we moved in we are still waiting for: 1) a playground, 2) roads to be finished. The promised school and doctor’s surgery were shelved and the site still looks like a building site! The benefit of a new build was we didn’t have to worry about it falling through, but there are lots of hidden extra costs which hadn’t foreseen: no storage, curtain poles, carpets etc - you just get a shell (with fitted kitchen and bathroom). The garden needed turfing too. 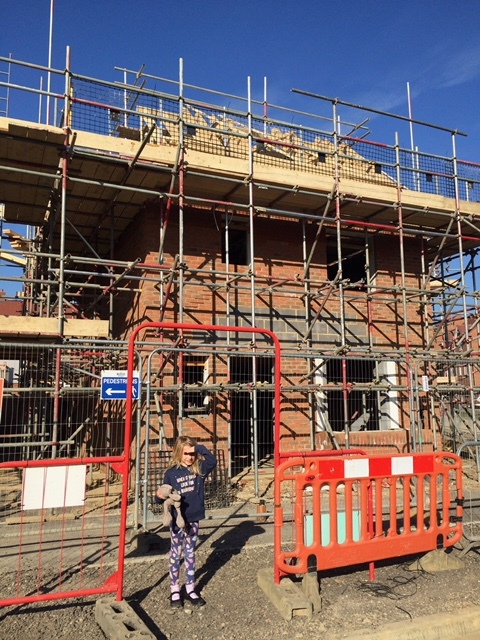 We discovered if you buy when they are still building, there is disruption in terms of noise - and building sites operate 6 days a week, so no Saturday lie in. Our house actually vibrates when lorries go past!! And insulation sometimes gets missed out - when they are in a rush to get things finished! We also discovered that although the deal didn’t fall through, the house wasn’t ready for us to move in (although they wanted us to complete early to make their end of year figures look better.) A drain issue meant the NBHC couldn't sign it off and whilst we thought the issue was completed prior to us moving in, we realised the manhole covers were left unfixed - discovered when children jumped on them or landed on them mid-gymnastics displays - but for the grace of God we could have ended up with a child down the drains. The good thing was, unsurprisingly perhaps, those jobs were fixed PDQ! Despite our misgivings about the property on the plus side, Horsham and West Sussex are great. There is loads going on for children, we are nearer the coast, yet still only 1hr from London. Horsham is a lovely little market town - they run trails around the shops for Halloween and Easter. There aren’t a huge number of shops to appeal to teenagers, but Brighton and Guildford aren’t too far away, and all the necessary middle-class shops are here: Waitrose, John Lewis at Home (nearest full John Lewis is Kingston / Croydon / Southampton), Fat Face, White Stuff, Jojomamanbebe, Waterstones, M&S, Crew Clothing, also big Tesco and Sainsburys. There are many farm shops too which sell amazing produce. There are a variety of gyms, from golf and country clubs to the more basic options, Christ’s Hospital school also has a great gym, which offers activities for children, including holiday clubs. There are loads of options for holiday clubs to keep the children out of mischief during school breaks. As with everywhere, doctors and dentists are available, but getting an appointment can be a nightmare. We’ve just had our dental appointment (booked for Easter hols) cancelled because the surgery is in need of essential work done - and we can’t get another one before the summer holidays! Referrals to consultants, either at Horsham hospital or East Surrey in Redhill are quick and efficient. There are loads of footpaths and walkways on the South Downs Link, so walking with or without a dog is easily achieved. Southern Rail is a nightmare - lots of strikes and cancellations. They are a militant lot and frankly, we drive to London to save ourselves a whole heap of aggravation. In terms of schools, I’d say nearly all the primary schools in the area are good or outstanding and the secondary schools are brilliant - we are really lucky. 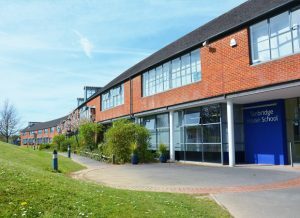 Tanbridge House School is the mixed school in Horsham, with Millais for girls and Forest School for boys, there is a 6th form college, Collyers, too, and a few miles away in Billingshurst there is The Weald, again outstanding. We got all the school choices we wanted, but I know that all the schools are oversubscribed. Tanbridge’s Head is very active in trying to get better funding for schools in West Sussex (amongst the worst-funded across the country, but achieving great things despite this). I do still miss elements of life in Bourne End - we were there 10 years, our children were all born there and our network of friends was greater. And I will always miss being near the River Thames. I think some regrets were bound to remain with this move, but I wouldn’t want to be bringing up children in London and life in Sussex is more relaxed which is great for family life.